CHB water users expect increased water take bans under Plan Change 6. CHB water users have appealed to Hawke's Bay Regional Council to extend the deadline to meet new minimum flow and allocation limits under its plan change for the Tukituki catchment. To deal with the challenges of Plan Change Six (PC6), many water users had signed up to the abandoned Ruataniwha Water Storage Scheme (RWSS). 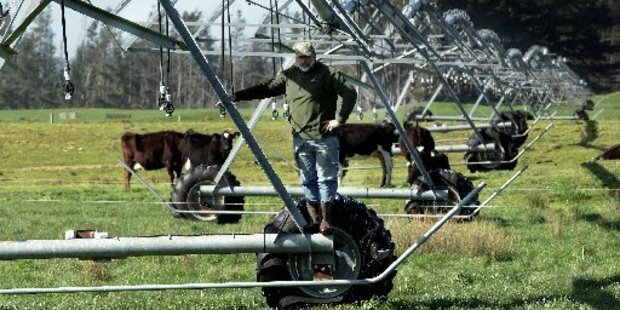 Without the Ruataniwha Dam, water users are concerned the conditions, which come into effect in less than a year, will have a severe impact on the agriculture-driven district, leaving some businesses struggling to survive. They said a period of five years was needed to identify and execute long-term solutions to PC6 challenges. But any extension looks unlikely, after a recommendation for council staff to begin discussions about deferring PC6 dates through a plan change was lost by one vote at a regional planning committee meeting last week. There had been two possible plan change paths which could have been used, had stakeholders supported this. But no budget or staff time were allocated for any type of PC6 alterations. One possibly could take a year, and cost up to $150,000, and the alternative could take about 18 months and cost up to $200,000. This was labelled a fools errand by Hastings councillor Tom Belford, who said the wider community wanted to see the council get on with implementing the plan change. "Moves like this to me are just diversionary and distracting in delaying the inevitable. "I don't think we're doing anybody a service in holding out these kind of changes." Some committee members took issue in considering what is in effect a plan change for 76 irrigators, as councillor Rick Barker said. "All jokes aside, it was only in the last couple of months that the penny dropped that no, [the RWSS] was not going to go ahead, and that was a real shock to CHB." Mr Mohi said that CHB faced a "real tragedy" as the 76 consents with minimum flow conditions were tied to hundreds of jobs and played a key role in the area's economy. CHB councillor Debbie Hewitt assured members the community were already working together, and holding regular meetings to discuss a way forward. "People in CHB are closely running out of time and they are certainly not resting on their laurels," she said. Ten committee members voted for a recommendation to discuss a plan change, with four voting against. A final decision still needs to be ratified by the full council. Other options were still available for consent holders, including requesting a private plan change, or applying to change consent conditions. The introduction of new minimum flows - below which irrigation bans are imposed - would raise the current minimum flow from 3500 litres a second to 4300 litres a second by July 2018 at one location. This would go up to 5200 litres a second in July 2023.